SAN RAMON, Calif., September 20, 2018 – During the colder seasons, illnesses tend to get passed around more, resulting in missed work hours or suffering anyway while at work when resting should be happening at home. Taking time off of work because of an illness can be disruptive in more ways than one and most people would prefer to prevent an illness than lighten the severity. Financial Education Benefits Center (FEBC), a membership benefits company, encourages healthy habits and checking in with medical professionals to keep preventable illnesses at bay. 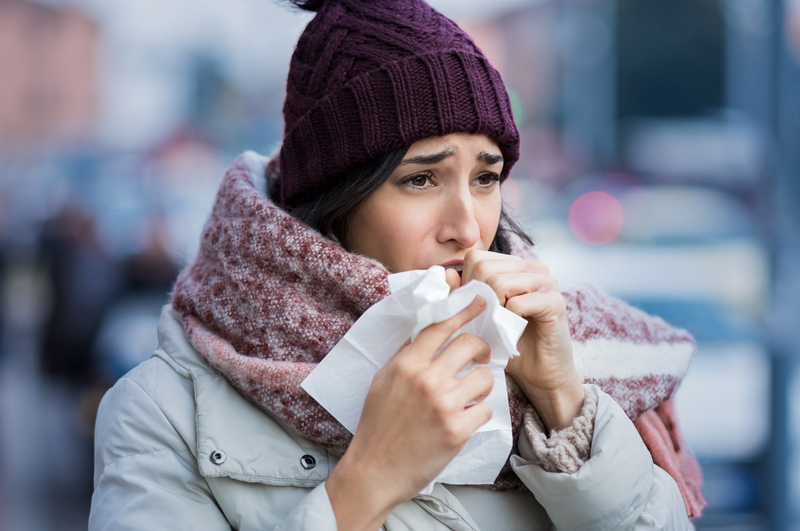 “Staying healthy when there is a cold going around work can be a little tricky, but can be more doable with some clean habits,” said Jennifer Martinez, manager at FEBC. Cleaning off after coming into contact with something germy is a good place to start for staying healthy. But then comes in the debate of whether hand sanitizing will get the job done or if soap and water is needed. According to the Academy of Nutrition and Dietetics, soap and water is the way to go for most effectively killing germs. Hand sanitizer is more of an addition to healthy habits than a baseline, as it’s not as effective overall and barely works if hands are visibly dirty. Of course, sometimes people get sick anyway, despite their cleanly ways. Then it has to be decided on whether it’s okay to still go to work or if it’s best to stay home. While a virus can be contagious the day before symptoms set in so it’s hard to plan to stay home at that time, the flu virus can still be contagious for almost two weeks afterward. Most people can’t afford to take the two weeks off to avoid infecting others, but if someone is still visibly ill and works in a relatively close environment to others, it might be best to take at least a few days off for recovery. If someone is sick at work, it becomes extra important for their sake as well as those around them to keep extra clean hands, a clean workspace and to avoid spreading germs to others. Staying healthy when there is a cold going around work can be a little tricky, but can be more doable with some clean habits. FEBC members may consult with a medical professional about health-related questions, like if it’s just a cold or if it’s the flu, through a 24-hour nurse line that is available for non-emergency questions. This benefit is not meant to act as or to replace insurance. “We strive to offer relevant discounts to our members to do our part in helping them achieve financial and personal wellness,” said Martinez.